That's Easy and Fun to Play! Fond of online horse games? 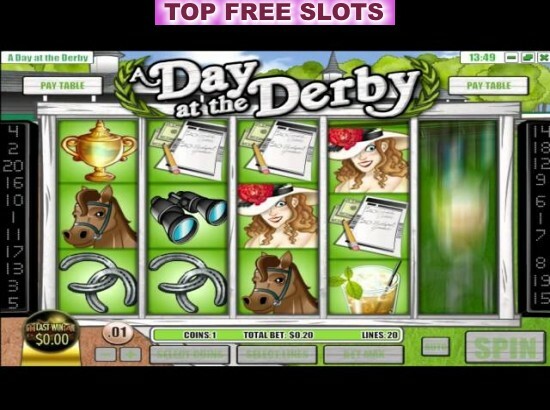 Then you will simply adore this amazing slot, called Day at the Derby. 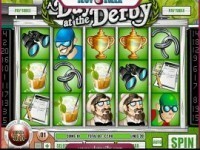 Powered by the award-winning internet casino software platform-Rival, this stunning fruit machine, which is set at a horseracing event, boasts wonderful graphics, cool audio effects, fantastic animations, and generous bonuses. You will be kept on toes for long. Lots of excitement and entertainment are guaranteed! Besides, you may hit gigantic jackpots. Needless to note, this amazing free slot has five reels and 20 paylines. When it comes to the features, you may count on bonus rounds, multipliers, free spins, as well as a wild and a scatter. The top jackpot is also a nice sum to be won. How about grabbing $18,750 just in one play? Sounds amazing, doesn't it?